Nancy Springer has still got it! The Oddling Prince is a wonderfully fantastic story of two brothers. One, Aric, has been raised as the king’s heir; the other, Albaric and son of the Queen of Elfland, has been lost to memory. The King of Calidon is cursed with a ring that he cannot remove that sickens him, and he’s unable to eat or drink. As he lies on his deathbed, Albaric appears to aid him. Aric and Albaric are immediately bonded, brothers inextricably drawn to each other, adoring each other. Yet the King has no memory of his time in Elfland or loving and teaching Albaric as he grew. Wound through the story are songs and the myth of the White King. As the King recovers his health, his soul seems wounded as he changes from a kind and just king to a hateful, violent tyrant. As the violence escalates, the kingdom withers, and an old enemy resurfaces. Can Aric and Albaric save their father and the kingdom? If you love classic fantasy and rich nuanced storytelling, you’ll love The Oddling Prince. The story is superb, the writing glorious, the world-building subtle and immersive, and the characters are complex. 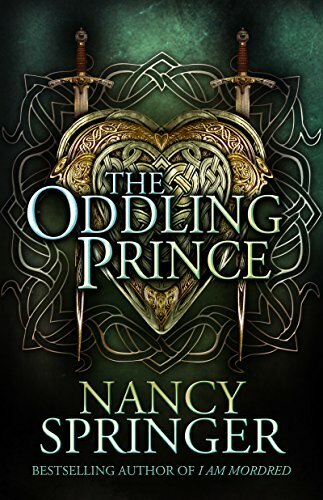 A very satisfying read and an instant reminder of why Nancy Springer is one of the best fantasy writers ever, up there with Diana Wynne Jones, Brandon Sanderson, and the other greats. So glad she came out of “retirement” to gift us another soul-searching read. Highly recommended. If you haven’t read any other Nancy Springer books, you owe it to yourself to grab some of her other series and start reading. You’ll be glad you did.